Royce has always had a passion for the ocean, it begun as soon as he was born going to Rottnest Island every weekend on the family boat. He became a PADI open water scuba diver at 14 and after doing his Rescue diver course at 19, discovered freediving. Since beginning freediving he has devoted himself to it entirely. Royce’s main underwater passion is spearfishing, he has speared majoirty of the West Australian coast as well as overseas in places such as Tonga, Vanuatu, New Zealand, Indonesia and Hawaii. His other passions include underwater photography, particularly of marine mammals and prized spearfishing species, yoga and ocean conservation. 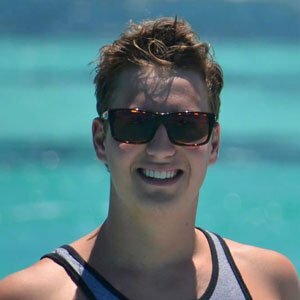 Having graduated UWA as an Environmental Engineer with a major in Ocean systems, Royce has a huge passion for conservation and says he finds freediving an unbelievably amazing way to experience the ocean and interact with marine life.